Future improvements for the Facebook Messenger app will include the test voice commands feature. An “M” Messenger assistant button will be available in future versions of the app and will appear atop the message thread screen. This button will activate voice commands for chat and calls. You will be soon able to use your own voice to initiate voice calls, dictate and send messages, and create reminders. This new update will not distract users from the main experience they get from using Facebook Messenger, unlike other updates the app has introduced like integrating games into Messenger. Will the Feature be coming anytime soon? From the company’s side, there was no confirmation that the software is being tested internally. And yet there is no guarantee that this feature will be seeing the light anytime soon. The update could come in handy for people who have a hard time typing in a foreign language. This feature holds some other obvious benefits including being able to compose messages while driving and most importantly making the app more accessible to users with visual or dexterity impairments. As the top social media applications constantly try to improve their accessibility status, there are some apps dedicated only to people with specific disabilities. This app aids people with motor, speech, and language disorders, including people with Cerebral Palsy, autism, and Parkinson’s disease. The app allows users to communicate using their own voice through translating unintelligible pronunciation into speech that is understandable. Above all that, the program works in all languages. This app could help people who are visually impaired by connecting them with volunteers who could help out via a direct video connection. This app is useful for children with Down’s syndrome, autism spectrum disorders, and other speech disabilities, by enabling them to “speak” using picture symbols. People with hearing impairments could make use of this app which uses voice recognition to convert voice to text so that users could read phone calls. This app is designed for autistic children and is meant to improve their socialisation skills through games that help them remember faces, express themselves, and learn to read modes. Many people with hearing difficulties who don’t use hearing aid could benefit from the features of this app. The app controls sound and amplifies it per ear, with frequency bands that are tuned towards speech understanding. This app is useful for people with developmental or learning disabilities, attention or auditory processing deficits, and anxiety. The app assists with sequential processing, teaches essential life skills, and increases the independence of its users. 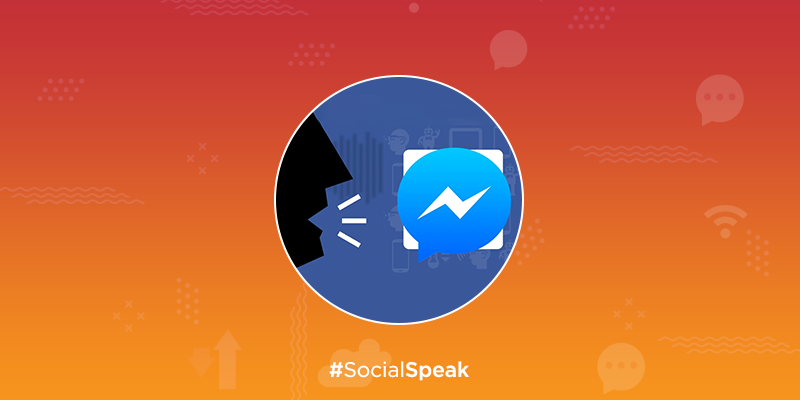 To keep updated with the latest social media updates and trends, stay tuned to next week’s edition of #SocialSpeak!